Reach carwash operators in nine states by advertising in the ONLY publication targeted to carwash operators in Minnesota, Wisconsin, Iowa, Illinois, Missouri, Nebraska, Kansas, North Dakota, and South Dakota. 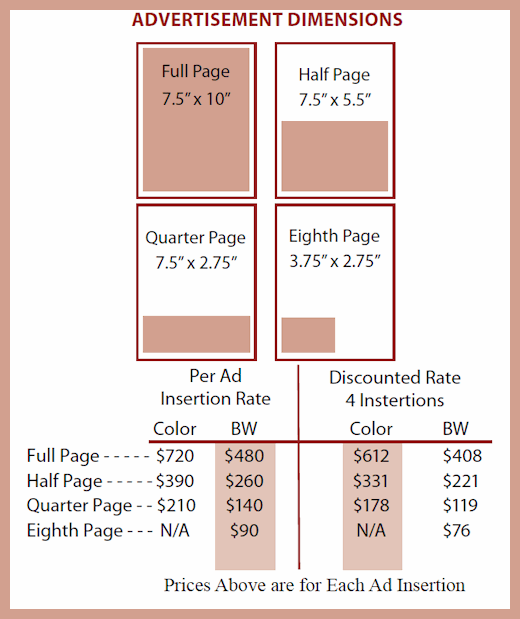 Save on each ad insertion by committing to four issues! JPGs TIFFs, PDFs with minimum DPI of 300 and Adobe Photoshop, Illustrator or InDesign are considered acceptable file formats. Adobe InDesign files must be packaged with all images and fonts. Adobe Illustrator or PhotoShop files must have all placed images provided and create outlines of text. Please, no submission of ads using Quark Express, Painter, Microsoft Office products or any web publishing tool. However, you may create high quality or print quality pdf using these programs or export into an acceptable JPG or TIFF format. JPGs, TIFFs and PDFs with a minimum DPI of 300 and Adobe Photoshop, Illustrator or InDesign are considered acceptable file formats. Adobe InDesign files must be packaged with all images and fonts. Adobe Illustrator or PhotoShop files must have all placed images provided and create outlines of text.